At the recent 100th Annual Convention of the California Cattlemen’s Association (CCA) & California CattleWomen, Inc. (CCW) in Sparks, Nevada, just east of Reno, held in conjunction with the Nevada Cattlemen's Association, more than 900 cattlemen and women traveled to discuss the cattle business and meet up with fellow cattle ranchers for the CCA Centennial Celebration. The CCA Allied Industry Council Trade Show saw one of the largest trade shows in 30 years with nearly 100 booths for attendees to visit over the course of the convention. 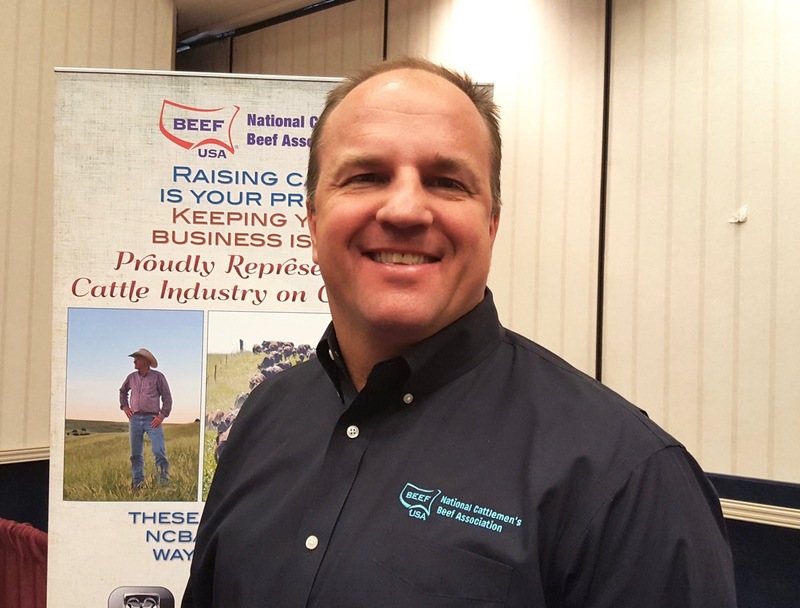 One such exhibitor at the trade show, Marvin Kokes, senior vice president, Industry & Member Services, National Cattlemen’s Beef Association (NCBA), the organization of which CCA is a state affiliate, gave a bit of insight about the association he attended the convention to share about. "We work to protect the business climate for producers. Then, as the primary contractor for the beef checkoff program, we work to build demand for beef. It is really being the cattlemen's voice in Washington D.C."
With offices in Denver and Washington, D.C., NCBA is a consumer-focused, producer-directed organization representing the largest segment of the nation's food and fiber industry. The NCBA consists of more than 28,000 individual members and 64 state affiliate, breed, and industry organization members. Kokes described the robustness of the Washington, D.C. office. "We have around 17 staff in our Washington office. We are there to build relationships with new members of Congress and to help them understand what the priorities are for cattlemen," he said. As the primary contact for the NCBA's Product Council and Allied Industry groups, Kokes understands that the complexity of the cattle industry requires associations like NCBA to bridge the informational gap in Congress. "Most of the people who are elected officials do not come from an agriculture background, so it is very critical that we are there to help explain what goes on America's farms and ranches," Kokes said. NCBA works diligently to advocate on behalf of the cattle industry's political, economic and social interests. Regarding the recent election, Kokes said, "Every election is important to cattlemen. New people come to Congress and some people leave Congress. Cattlemen have a lot to look forward to; no matter who is sitting in the White House, having good relationships with members of Congress is critical." "California range and pasturelands account for 38 million of the state's 100 million acres of land. Nearly half of those 38 million acres belong to the federal government, meaning many California ranchers are reliant on the availability of federal grazing permits. That's one of the reasons cultivating beneficial relationships in Congress is so important." It follows, according to Kokes, that political action committees (PACs) are important, "because they help get your friends in and tries to get your enemies out of Congress. I am happy to report that 93 percent of the candidates we supported and gave money to in this last cycle were elected." "Future priorities will focus on issues of taxes, private property rights, and some serious changes in regulations, such as getting rid of the burdensome regulations of EPA and the WOTUS Rule that was related directly to EPA," Kokes said. One of the top five cattle-producing states, California makes up nearly 6 percent of all cattle in the United States. Cattle and calves were also among the top four commodities in the state in terms of production value in 2015, with an overall value of nearly $3.4 billion dollars. Most of California's ranches are family-owned and operated, and many have been in the same family for multiple generations. A whole new group of personnel are coming to Washington, making advocacy by Ag organizations even more significant, particularly on trade issues. "We are going to continue to work with the administration on new trade agreements that are beneficial to agriculture. We need good trade agreements and we need to help the administration understand the value of trade," reported Kokes. The beef industry is somewhat unique in that cattle are raised in nearly every Congressional district in the country. "There is some level of beef production or beef-related activity in every Congressional district, so having those relationships with our elected officials and helping them understand what is in the hearts and minds of cattlemen is critical," Kokes said.